"Around ten years ago, deep into a cozy and hazy night following a concert with my sound brothers Daniel O'Sullivan and Kristoffer Rygg in London (as Æthenor), they graciously introduced me to a recording of rudra veena (a kind of noble deeper bass relative to the sitar, in a way) as performed by dhrupad master Zia Mohiuddin Dagar. Dhrupad is a branch of Hindustani classical music said to 'show the raga in its clearest and purest form'. It's pacing concentrates heavily on the slow, contemplative alap section and works with specific microtonal gestures and deep characteristics of resonance . . . In early 2015 I was able to make contact with Zia Mohiuddin Dagar's son Bahauddinand some of his American students/disciples, primarily Jeff Lewis. Over time we developed a friendly and educational exchange, access to a massive archive of recordings and developed these two paired titles for my label . . . 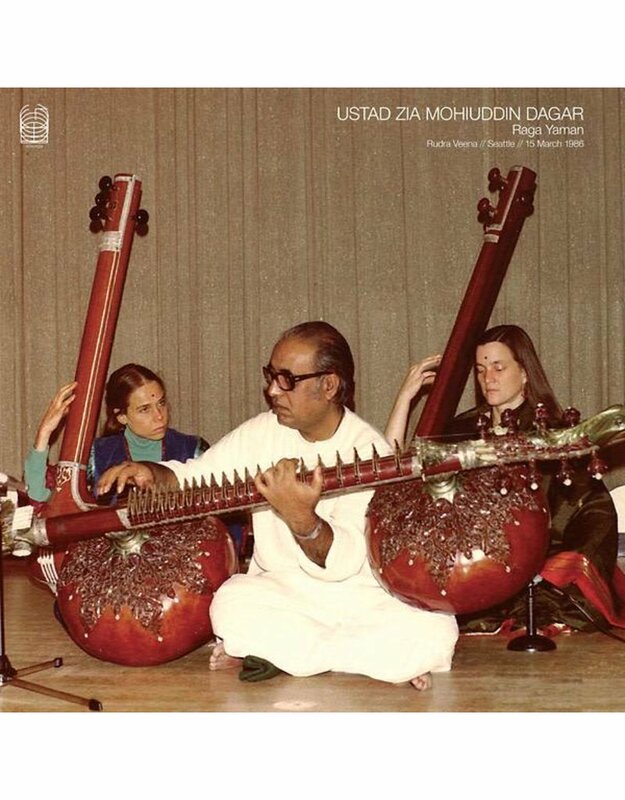 I'm proud to be able to reveal these to date unreleased archival recordings of one of the masters of dhrupad, Z. M. Dagar, to the public for the first time. 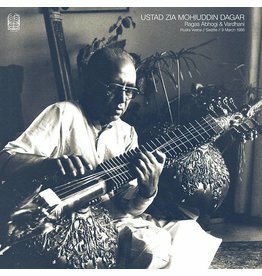 Zia Mohiuddin Dagar was the nineteenth generation in a family tradition known as Dagar gharana, a rich lineage which continued and performed the musical form of dhrupad. Initially, dhrupad was a rigorous, austere, devotional genre that was sung in Hindu temples. But between the 16th and the 18th centuries, it became the preeminent genre in royal courts in North and Central India, and the Dagar gharana developed and continued publicly following the eventual loss of court patronage for dhrupad in the 19th century. 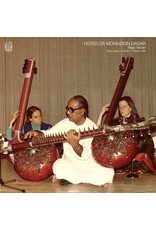 The French ethnomusicologist Renaud Brizard covers the story of Zia Mohiuddin Dagar's life and teaching, the Dagar family and gharana, the rudra veena and more topics in an extensive set of liner notes in this release. Raga Yaman was recorded at a public concert in Seattle at the HUB Ballroom at the University of Washington in March 1986 (the week after the accompanying release Ragas Abhogi & Vardhani(SOMA 028CD/LP) was recorded) at the end of his last tour of the United States. Yaman was a special raga for Zia Mohiuddin Dagar, one of his signature raags. For centuries, Yaman has been considered as one of the most fundamental ragas in Hindustani music and is one of the first ragas which is taught to students." --Stephen O'Malley, March 2018, Paris, France Mastered and cut by Rashad Becker at Dubplates & Mastering.